TORONTO (Reuters) - Canada's subprime mortgage providers are increasingly teaming up with unregulated rivals to sidestep rules designed to clamp down on risky lending. The result of these partnerships are so-called "bundled" loans, which pair a primary mortgage with a second loan from unregulated groups called Mortgage Investment Corporations (MICs). The arrangements have proliferated, mortgage brokers told Reuters, as Canadian regulators have tightened lending standards to shield borrowers in case a decade-long housing boom goes bust. The practice has grown fast because it allows borrowers to make down payments of just 10 percent, dodging federal rules that require either 20 or 35 percent down on mortgages not backed by government insurance, according to industry experts. Packaging two loans together allows the regulated lender to skirt those rules. The rise of bundling reflects declining affordability after a long run-up in home prices, and it could present a danger of defaults if prices fall. Such high loan-to-value mortgages are common when housing markets are about to implode, said David Madani, an economist at Capital Economics who has long forecast a housing crash in Canada. Bundled loans, however, do not violate any laws, a spokeswoman for the Office of the Superintendent of Financial Institutions said in a statement. Primary lenders are expected to take the extra debt from a second loan into consideration when evaluating the borrower's ability to afford the primary mortgage. In a statement, Canada's Finance Ministry said it was monitoring co-lending activity, which it said represented a small portion of the mortgage market. It declined to comment on whether the practice had increased as an unintended consequence of tighter lending rules introduced last year. OSFI said that bundled mortgages have existed for years and that it will revise its guidance as the market evolves. The government does not track bundling, and the practice is sometimes carried out in a discreet fashion, with lenders working directly with the MICs or referring mortgage brokers to them to work out a loan with a borrower. But Finance Ministry data shows that the share of unregulated lenders has shot to 12.5 percent of Canada's C$1.6 trillion mortgage market in 2015, up from 6.6 percent in 2007. "It's becoming prevalent with everybody. This is how they sidestep the loan-to-value issue," Guy Lew, a mortgage broker at CENTUM Metrocap Wealth Solutions said in an interview, adding that he arranged such loans for his clients. In a report published last month, the Bank of Canada estimated that unregulated lenders have about C$125 billion in assets, including auto loans and other products as well as mortgages. The vast majority of that total is held by companies not listed on public exchanges - meaning little hard data is available on their lending. The bank report acknowledged that significant gaps remained in data about the shadow banking sector. 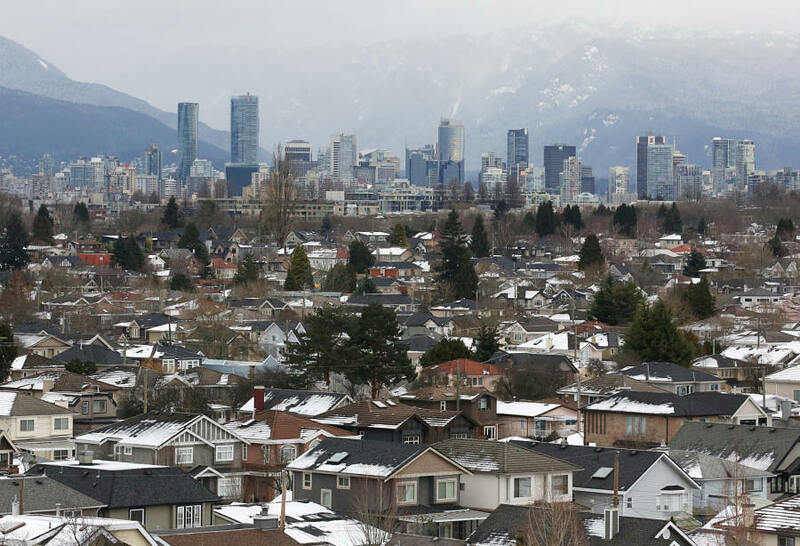 Canadian authorities have become increasingly concerned by inflated home values in Toronto and Vancouver, where prices have soared because of low interest rates, foreign investment and tight supply. Prices in Toronto rose 12 percent in 2016, according to the Toronto Real Estate Board. But prices in Vancouver, after many years of increases, fell in the second half of 2016, in part because of a tax on foreign buyers. The Canada Mortgage and Housing Corporation has warned that both the Toronto and Vancouver markets will cool in the next two years, leaving the most highly indebted borrowers exposed to losses. Bundling has provided a way around two federal rules meant to control such risks. Regulated lenders in Canada are not allowed to lend more than 65 percent of the value of a home to borrowers with bad or nonexistent credit records. They also cannot lend more than 80 percent of a property's value - even to borrowers with solid credit - without obtaining government-backed insurance. Under rules rolled out in October, that insurance requires the banks to run income stress tests on borrowers. The MICs are financed mainly by wealthy individuals seeking higher yields. For borrowers with good credit, mortgage brokers say MICs typically offer rates that are comparable with what mainstream banks charge: five-year rates fixed at 3 percent. For less credit-worthy borrowers, rates of 7 to 10 percent are common, brokers said. Most borrowers would then look to refinance with a mainstream lender within the five-year period or revert to a variable rate thereafter. "I would suspect that at least 10 percent of homeowners who are taking out this type of product may find themselves in hot water within the first couple of years of home ownership," said Scott Hannah, the head of Canada's Credit Counseling Society, a charity that advises consumers on debt. Canada's biggest six banks, which provide about 7 out of 10 mortgages, told Reuters that they do not offer bundled loans. But Home Trust, a unit of Home Capital Group and Equitable Group - two of Canada's biggest subprime lenders - said they participate in bundled lending. Home Trust, which had assets of C$20.5 billion at the end of last year, confirmed it provided bundled mortgages worth up to 90 percent of a property's value, with no mortgage insurance requirement. Home Trust said in a statement that bundling was a common practice, but declined to disclose how much of its business depends on it. "Private lenders are satisfying market demand for uninsured mortgage products" with greater than 80 percent loan-to-value ratios, the lender said. One of the unregulated lenders that Home Trust worked with is an entity called Brookstreet. Its President Diana Soloway - the daughter of Home Capital's co-founder Gerald Soloway - said that growth in bundled mortgages started a few years ago when regulated lenders were looking for ways to share risk with unregulated entities. "Not every institution either acknowledges it or wants to advertise it," Soloway told Reuters, later adding that Brookstreet "did it quietly, under the radar." Equitable Group Chief Executive Andrew Moor said that slightly less than one in ten mortgages provided by the lender involve bundled arrangements. Equitable disclosed its bundled deals with other lenders for the first time in its latest financial results, after Moor was interviewed by Reuters for this story. Sinclair Cockburn MIC executive Chris Pridham also confirmed that his company bundles with Equitable. Moor said Equitable, which had assets of C$17.6 billion at the end of 2015, uses the products when it is not comfortable lending the full amount a borrower requires. "We would use it in circumstances where we want to mitigate our risk by having some 'first loss' capital behind us," he said. If a borrower with a bundle of home loans falls behind in their payments, the unregulated lender loses money first. The regulated lender has the first claim on any future payments or sale proceeds in a foreclosure. When house prices remain steady, loan losses are not a big problem. Less than 0.5 percent of residential mortgages written by Canada's biggest lenders are now considered delinquent. But borrowers can be at risk if they load up on too much debt at high rates of interest. Nick Kyprianou, chief executive of the RiverRock MIC and a former president of Home Trust, said RiverRock has avoided bundling because of the risk. Three years ago, when he was CEO of Equity Financial Trust, OSFI was scrutinizing the practice across the industry. "They were expressing some discomfort with those partnerships," he said, "so that could come up again." OSFI confirmed that it "did some extra work on this lending practice in 2012-13" as part of its routine supervision of institutions, but declined to elaborate. The Credit Counseling Society's Hannah urged regulators to ban the products. "This is not a product that's going to help the vast majority of people using it to get ahead financially," she said. "That's the bottom line."